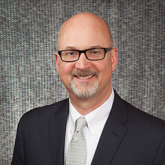 Steve Cooke ChSNC, CLU - Since 1990, Steve Cooke has been in and around the Issaquah area helping individuals, families and businesses achieve their financial goals through financial planning. To enhance his ability to work with families who have loved ones with special needs, he has acquired professional knowledge in the field of special needs financial planning. Steve holds the Chartered Special Needs Consultant (ChSNC) and Chartered Life Underwriter (CLU) designations and is a Special Needs Planner with Palladio Group. Steve is a member of the Academy of Special Needs Planners (ASNP), the Financial Planning Association (FPA) of Puget Sound, and the National Association of Insurance and Financial Advisors (NAIFA). Through our unique, personal and professional experiences, our team came together to help serve special needs families. Although our individual motivations to serve may differ, as a group, we share the same mission. Our mission is to positively impact the lives of people with a disability and their family by helping them develop a tailored Special Needs Financial Plan. By assisting families with their planning, we provide access to information and specialists to help identify the appropriate financial, legal and government programs to help fulfill their loved one's day-to-day needs, as well as their long-term plans for care.